Christmas in the Park in West Jefferson is December 14, 15, and 16. This year will mark the 23rd Annual Christmas in the Park in Garrette Park in West Jefferson. The event will take place Friday, December 14 (5:30 pm to 11 pm), Saturday, December 15 (6-11 pm), and Sunday, December 16 (6-10 pm). Christmas in the Park gets underway with the Opening Ceremonies at 5:30 pm on Friday evening when Santa arrives and turns on the park lights. Music will be performed by the West Jefferson High School Jazz Band and Choir. Following Santa’s arrival, you can visit with him and stop by his workshop. There will also be carriage rides and concessions. On Saturday, December 15, the Parade of Lights heads out at 5:30 pm from the American Legion and winds its way through town to Garrette Park. For more information on the parade and how you can participate, go HERE. There will be a Home Decorating Contest that will be judged the week of December 9-15. The winners will be announced on Sunday evening at 7:45 pm with cash prizes for the top three best decorated houses. To learn how you can enter the Home Decorating Contest, please go HERE. To find out more and see the full schedule of events, visit the Christmas in the Park web site HERE. Donations are always needed, including donations of time as volunteers are essential to help on each night of the event and in preparation beforehand. Monetary donations can be sent to: Christmas in the Park, PO Box 262, West Jefferson, OH 43162. 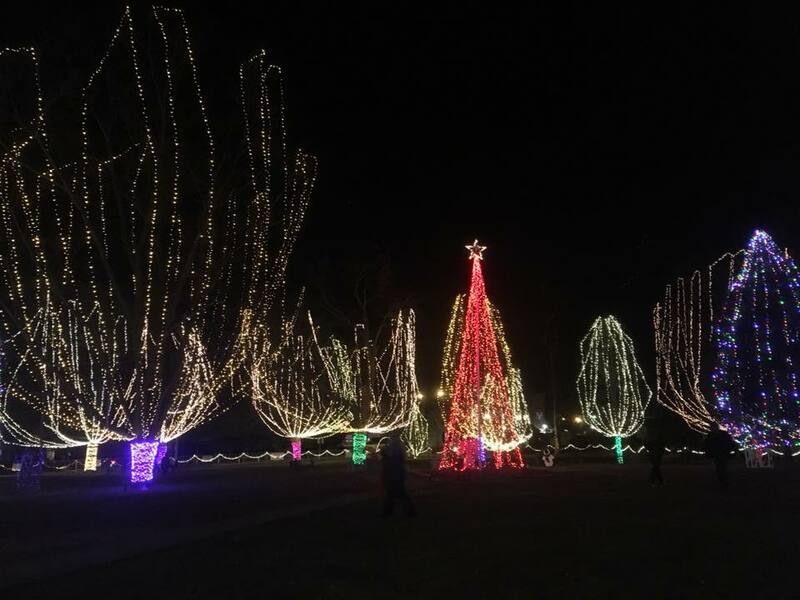 Christmas in the Park is an extension of the not for profit corporation, West Jefferson Community Association, and is comprised of volunteer citizens in the community. Like Christmas in the Park on Facebook HERE.